If you are subject to scrutiny from the ATO, you should involve your advisors at the outset so that effective strategies can be put in place to manage all aspects of the tax audit process. The ATO sets financial benchmarks for small and medium enterprises in different industries. If your tax return or business activity statements falls outside these benchmarks for your particular industry, this could flag suspicions of hiding income or claiming fraudulent deductions. The ATO may then initiate an audit. Under certain circumstances, we would be able to claim legal professional privilege on your behalf to protect confidential documents from disclosure and outside the scope of an ATO audit. You must seek our advice in in order to do this quickly. Our Tax Disputes and Litigation team is able to assist clients with all aspects of disputes with the ATO. Once legal proceedings with the ATO have commenced or are imminent, Our litigation partner, Cuong, can assist clients in adopting a strategic and well managed approach to the legal proceedings against the ATO. assisting and representing you in resisting an application by the ATO to wind up your company. More and more taxpayers are finding themselves subject to criminal investigations and prosecutions in relation to their taxation affairs. Trinity Partners utilises its extensive tax and criminal experience to assist individuals and organisations subject to these serious investigations. Tax crimes are not limited to tax fraud or financial gains. Simple failings such as a failure to lodge a tax return can result in a criminal conviction. 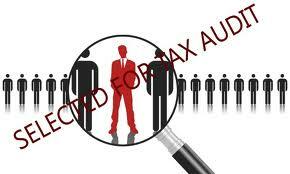 represent and advise you in relation to a prosecutions for tax fraud and other relates offences commenced by the CDPP.